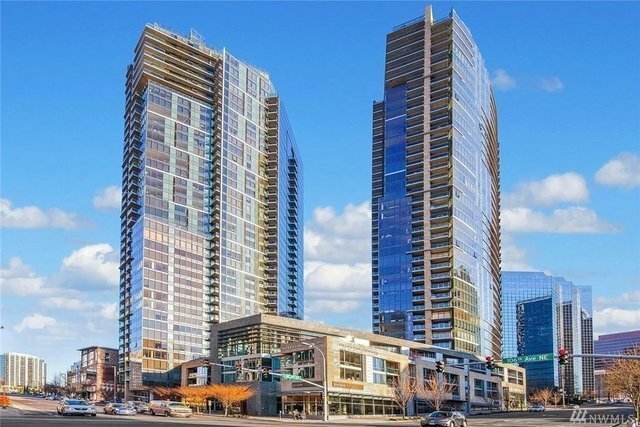 Stunning 270' views of the city, lake and mountains from this luxurious 30th floor unit in Eco-friendly Bellevue Towers.Two bedrooms plus den. Floor to ceiling windows, high end finishes, open floor plan and two decks. Amenities include a half acre park with paths, workout rms, sauna and spa areas, theatre rm plus an open great rm. Concierge and guest suites. Air conditioning, two parking spaces and storage.Gold certified LEED building.Walk to eateries, shops and theaters. Easy freeway access. Perfect downtown location!